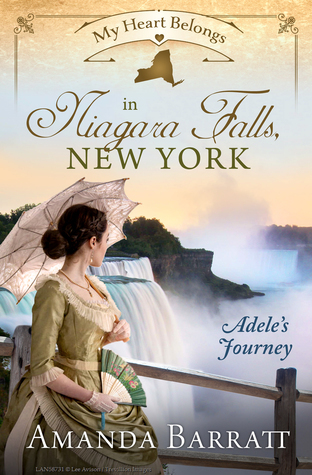 My Heart Belongs in Niagara Falls, New York: Adele’s Journey (2018) by Amanda Barratt is a fantastic, highly-engaging installment in the My Heart Belongs series published by Barbour Books. Reading the previous stories in this series is not necessary as this book is very much a stand-alone story. With a full-time job and a very precocious and busy five-year old, this story took me five days to read. If you are noting the longer period of time it took me to read this book, fear not! It took me a while to read because it was finals week this week at school and I needed to grade like crazy. Please do not let my longer reading time deter you from this book. This book is AH-MAY-ZING!!! I received a review copy of this novel in eBook form from NetGalley. In no way has this influenced my review. The opinions expressed in this review are my own. I give this novel 5+++ STARS. This story is a Christian Historical Romance. On a sightseeing trip to the Falls, Adele meets several eligible suitors. Incredibly wealthy and pompous, Franklin Conway takes an immediate fancy to her. But Adele would truly like to marry for love. When she encounters the mysterious Drew in a garden, Adele is confused by her feelings for someone who is everything she is NOT looking for. Will they both stay the course they have chosen for themselves? Two things stood out in this book for me. First, the tension. Oh my good gracious does this book have tension. Part of the reason why I had a difficult time putting this book down is because as every page passed, I could not figure out how Adele and Drew would get to their happily ever after. To call this book a page-turner would be an understatement! Tension because of circumstances. Tension because of mistakes the characters make. Tension between Drew and Adele. Tension between Adele and her American family. Tension between Drew and Franklin (the villain!). Tension between Adele and her brother. 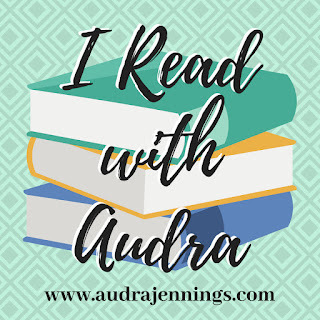 There are so many layers of tension going on in this story that at one point (around the 94%-read mark), I looked at my husband and declared, “I have no idea how this book is going to end!! !” It was FANTASTIC!!! The second aspect to this book that really struck me was the intense and powerful message to place our trust in God. Drew is strong in his faith, even when the going gets really rough. But Adele has very little faith in God. The men in her life who were supposed to love and protect her let her down badly. Naturally, she has transferred her distrust of men to God. Adele wants to fix everything on her own. She cannot trust that anyone will come to her aid. So she constantly comes up with plans, but her plans never work out. I can relate to Adele so much. I, too, have had a very difficult time with trust. I, too, want to fix everything. But, my plans are rarely successful if I don’t include God. I appreciate Adele’s spiritual struggles because it made her all the more real a character. She endeared herself to me, and when she came to a full understanding of God and His love for her, I almost burst into happy, happy tears! I truly loved this story, and I am a little sad that my time with Drew and Adele has come to an end. I am so blessed to have read this wonderfully engaging story, and I cannot recommend it enough. When it is released on January 1, I highly suggest purchasing this book. You will not be disappointed with this read! I feel I can also relate to Adele. It’s difficult not to learn distrust from repeated events but God keeps reminding us of our brand new natures. Thank you so much for this beautiful review!! I feel so humbled and blessed and happy!!! ❤ ❤ I'm so glad you related to Adele. I wrote her out of some similar issues I've struggled with, so I'm glad her journey touched you! Thank you so very much! !